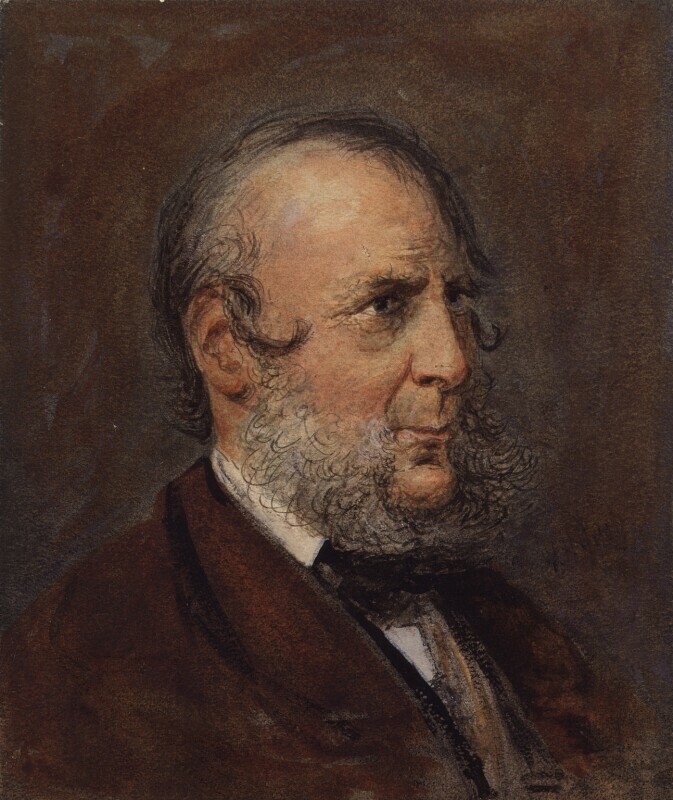 This water-colour was previously attributed to Cruikshank, and was given to the NPG as a self-portrait. It is, however, clearly based on a photograph by Elliot and Fry, and cannot be accepted on any grounds as the work of Cruikshank. Its early history is unknown. Ruddy complexion, dark eyes, greyish hair and beard. Dressed in a white shirt, black tie and dark brown coat. Background colour dark reddish-brown with grey streaks. P. M. Turner, presented by him, 1943.